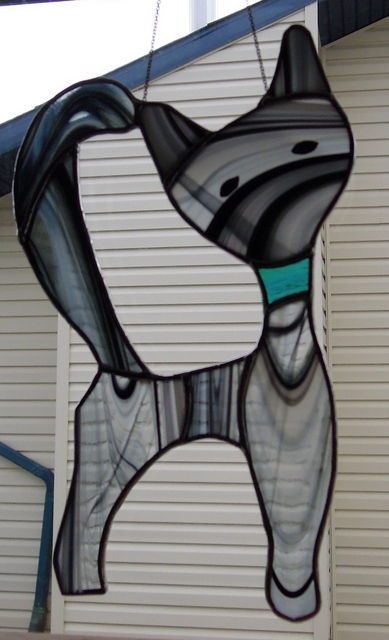 A local client wanted one of our Abstract Cats. 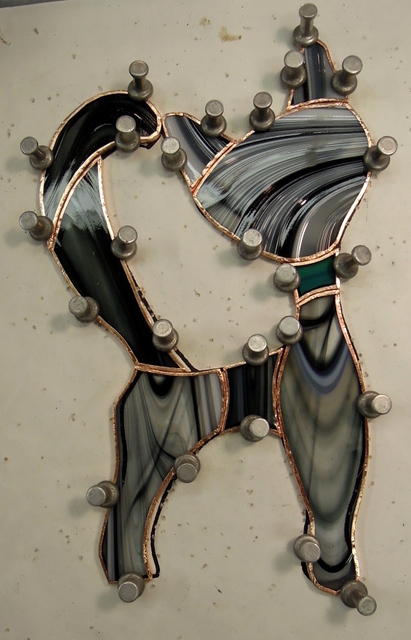 This one was made using Spectrum’s Black White Clear Baroque Glass. We also used Spectrum’s Pale Green/Aqua Blue Waterglass for the collar. Unfortunately with the closing of the Spectrum Glass Company later this year, many neat varieties of stained glass will eventually no longer be available. Here is the finished Abstract Cat.